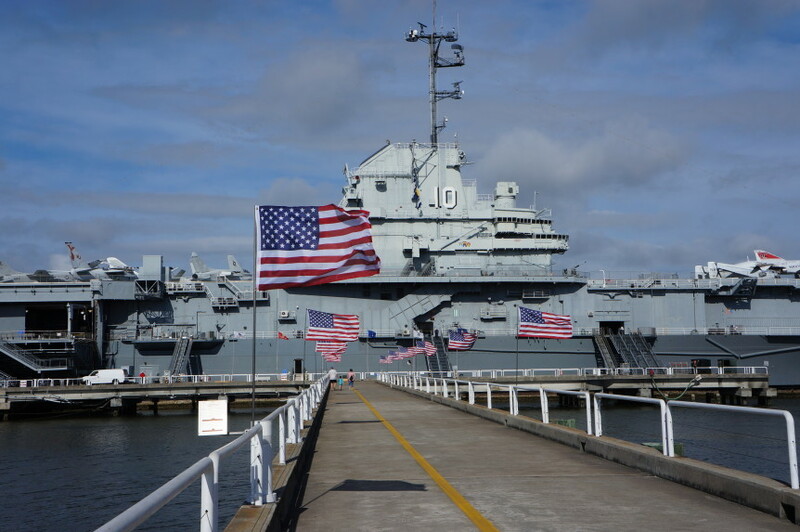 One of our of our Yorktown Association members has become something of a star on board the USS Yorktown. Bill Watkinson volunteers regularly, sharing his experiences and knowledge among eager listeners. Bill is staple figure on board the Fighting Lady, and is an increasingly tour guide for our visitors and media guests. Recently, a local ABC affiliate sat down with Bill and followed him as he did his “job” — sharing his knowledge and first-hand experiences with a younger generation of visitors as he showed them around the ship. We are so thankful for Bill Watkinson and all of our volunteers!